We understand how dogs learn and developed our training programs based on education, experience, and research-based methods. Niagara Dog Training Ltd. uses a eclectic style of dog training - that means we research and educate ourselves on all styles and systems of training. That way we have a toolbox full of techniques and methods to help every person and every dog. Our training system teaches your dog to respond to you the first time you give a command. If you repeat commands and let your dog get away without compliance, he/she will learn that you, the dog owner, will not follow through and the undesirable behaviour may continue to get worse. 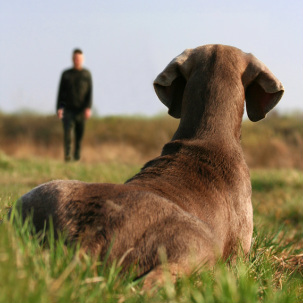 Niagara Dog Training Ltd. uses professional and humane training techniques to teach the you, the dog owner, how to understand your dog and strengthen your relationship. By exercising your dog, using lots of praise and positive reinforcement, as well as consistently practicing the training methods we teach you, your goals can be achieved. We love our dogs, but we must remember that they are animals! Therefore, we must think like a dog to better understand them, and help fulfil their natural needs & drive.